Anonymous, 16 Nov 2014The other 2GB is used for system files. That's why you see only 6GB, it's the same for every device.But why is it that other A3300 are showing a total space of 8.0 gb and other are showing only 6.0gb? janphil, 15 Nov 2014The total space is only showing 6.0 gb. I was told by the vendor that if they will upgrade it... moreThe other 2GB is used for system files. That's why you see only 6GB, it's the same for every device. The total space is only showing 6.0 gb. I was told by the vendor that if they will upgrade it to kitkat the 8.0 gb will be shown. Is it true? Guys, i need help my a7-30 suddenly shut down and it's not turning on and not charging. It was irritating and it would mean hell if I hadn't got to fix it. Please. can i upgrade it to android 4.4.4 ? How many internal memory does this have? Worst touch experience i've ever had, freaking pathetic, sheer waste of money!! the sim tool kit in my tablet is not working. it is un install. how can i use this app.? please help? 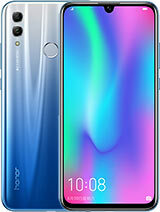 When I bought Lenovo A7-30 A3300 I saw that we can use it as phone, but it seems that it doesn't support this gsm or what so ever application or don't know what else. I tried to download googletalk yet again it was not compatible with it. I tried to use hangout app to call but it seems that this app needs to be paid to used or the list of people I call should use it also. 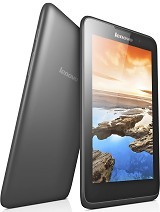 Anyway I think that specifications of this tablet are not right, please help me out to solve the problem. I can't use that tablet as phone and I really would like to do it, otherwhise why should I enter my sim card inside this tablet if I have to use only wifi to enter an internet connection!!!! Why i cant move app to sd card?? How to set 3g to this tab? How do i connect lenovoA3300-Gv to internet using sim load?i tried it already but its to slow and the signal is always G.is there a possibility yo make the connection faster.i already tried different sims. nice phone must use lenova & forget all.